It was another sunny day in Kaikōura. It was also a bit warmer than yesterday which pleased the ambassadors! I was especially looking forward to having a look around the NCTIR Village today. For this morning’s web conference, we went back to the Kaikōura museum. Our web conference expert was Manea Sweeney. North Street School was our speaking school. The focus for questions was the road reconstruction. There were some thoughtful questions from North Street School and a lot of interesting facts came out of the discussion. For a recording of the web conference click on the link in the web conference timetable. Our next stop was the NCTIR Village. Here we met NCTIR People and Culture Manager Belinda De Zwart who gave us a tour of the site. 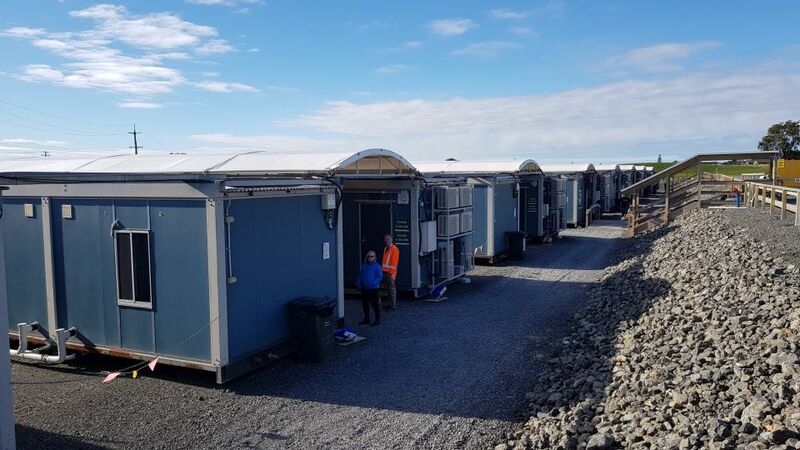 It is basically temporary accommodation to house the roading and rail rebuild workers. 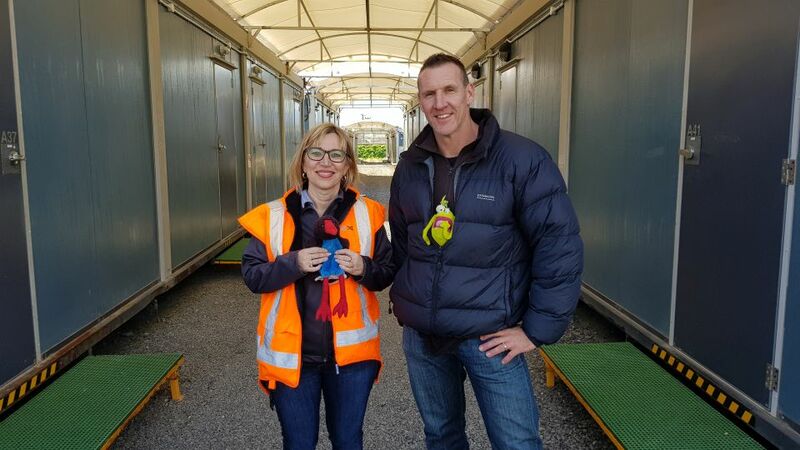 It was needed because there aren’t enough beds available in Kaikōura while the project is taking place. 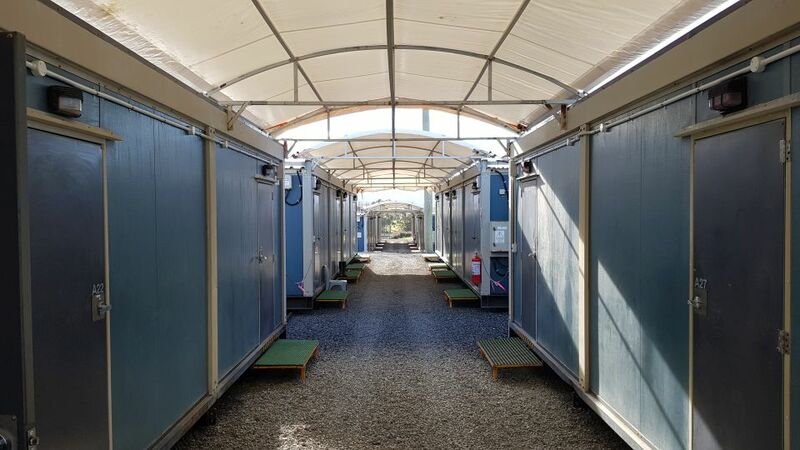 I felt the accommodation resembled a cross between a motel and a military camp. But it sure looked like a cool place to be staying! Belinda described the Village as being a “community within a community”. On a typical day, most of the team goes to work between 5.30am and 7am and returns between 6pm and 8pm. They travel by bus to reduce the effect on traffic. Local cafes make packed lunches and local restaurants host the workers’ evening meal. Each worker has their own room with a toilet and shower. There is a recreation room with large screen TV, pool table, table tennis and so on. There is also a gym and a kitchen where everyone gets a cooked breakfast each morning before work. Sounds good to me! There weren’t many people around when we were there. But take a look at the video and you’ll get a better idea of what the facility is like and why it is described as a “community within a community”. From the NCTIR Village we drove about 30 minutes’ north of Kaikōura to Ōhau Point. 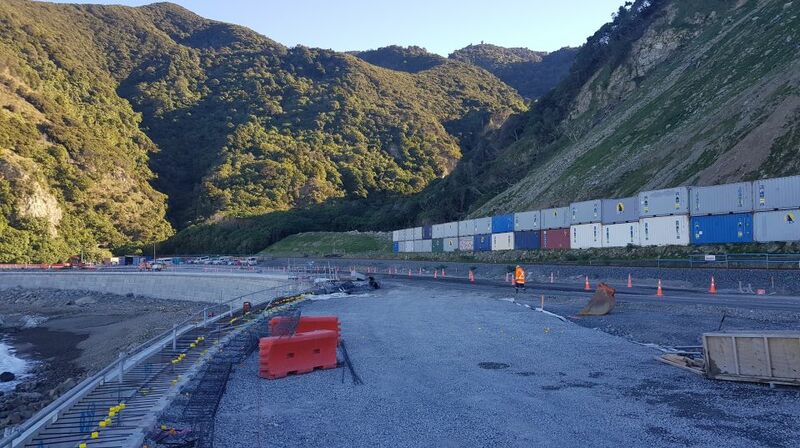 This is where one of the major slips happened along State Highway 1. NCTIR Project Manager for the Ōhau Point sea walls, Clark Butcher, gave us an overview of the project and the challenging work that has been taking place. As well as clearing the massive slip, they have built a new part of the road and a sea wall. While we were there you could see a helicopter and people abseiling on the slip face. This was part of the effort to secure the hillside in case of further slips. But it isn’t just all about the road. As I am learning more on this field trip, community plays a major part in adapting after an emergency. 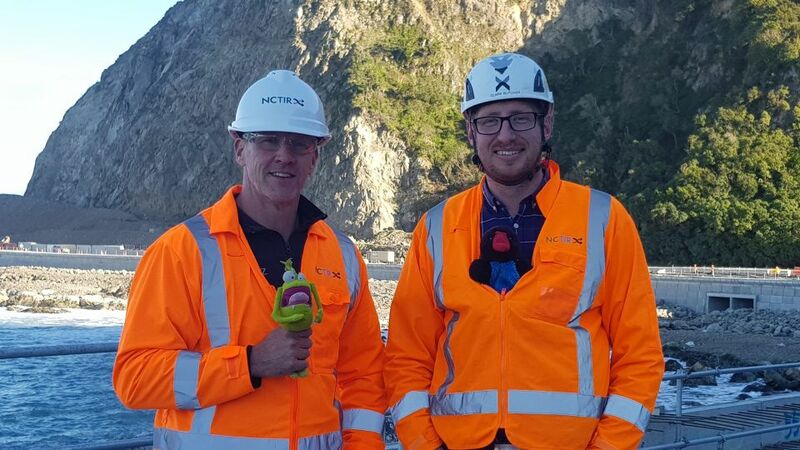 Watch the video with Clark and hear how NCTIR have been considering the Kaikōura community on this project. Map showing the journey by car from Kaikōura to Ōhau Point. Our final stop for today was back a Takahanga Marae. An event celebrating Matariki was being held there for young children and their parents. Here we met Kaikōura local Brendan and his daughter, who sang us a song from the book Kiri and the Emergency. This story is a first aid resource for children. The picture book and videos build children's understanding of danger and what to do in an emergency. You’ll certainly see in the video how effective it is! For a te reo and English video version of the story click here. You may also like to check out Kia Pakari. This is a new school resilience programme. It empowers young people to build resilience in school communities across Aotearoa. The programme enables students to explore resilience in their lives, school, and communities. Student teams inquire into the factors that make their community vulnerable to emergency events. They design and put in place programmes of social action to help local whānau and schools become better prepared to manage adversity. Sounds like a worthwhile programme – check it out! Thanks for being part of another great day here in Kaikōura! 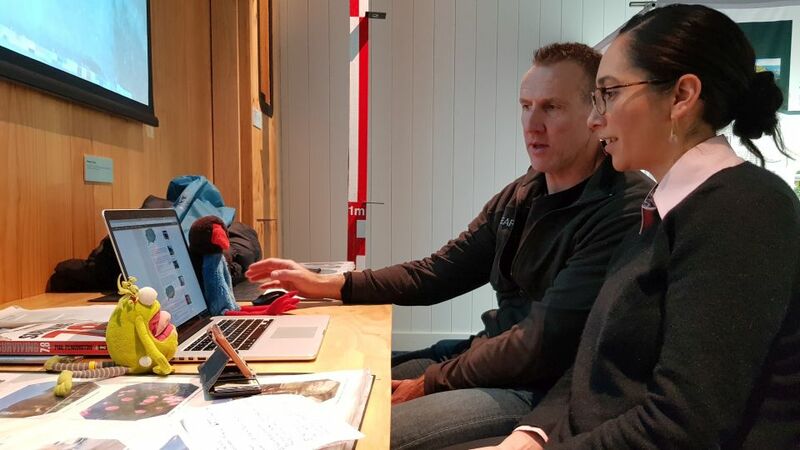 Andrew and the ambassadors with Manea Sweeney on this morning's web conference at the Kaikōura museum. Image: LEARNZ. 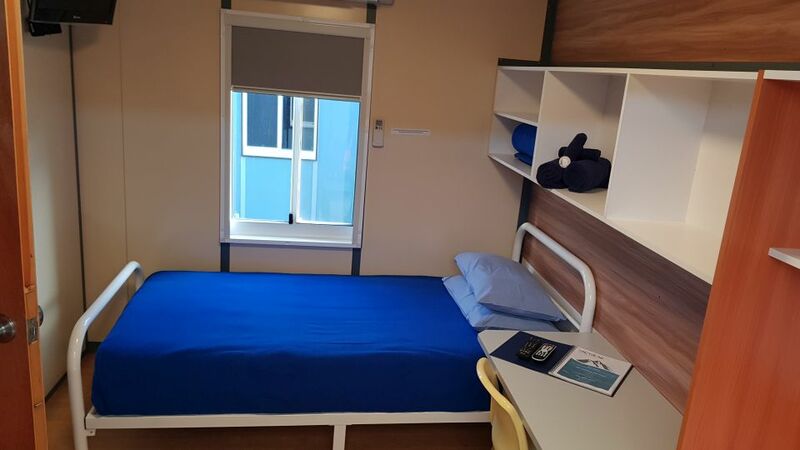 Looking at some of the accommodation pods at NCTIR Village. What are some of the facilities at the Village? Image: LEARNZ. Looking down a row of accommodation units at NCTIR Village. Image: LEARNZ. A look inside one of the units at NCTIR Village. What do you think is through that door on the left? Image: LEARNZ. Andrew and the ambassadors with Belinda De Zwart at NCTIR Village. Image: LEARNZ. 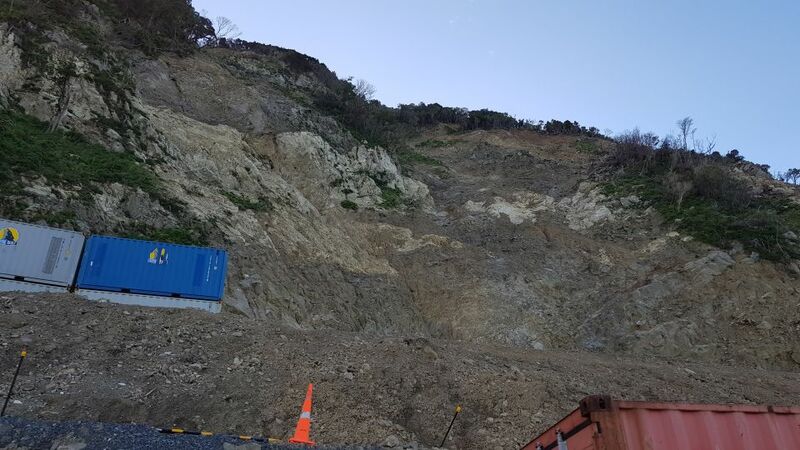 There are many slips to see on the way north from Kaikōura. Why do you think the containers are there? Image: LEARNZ. 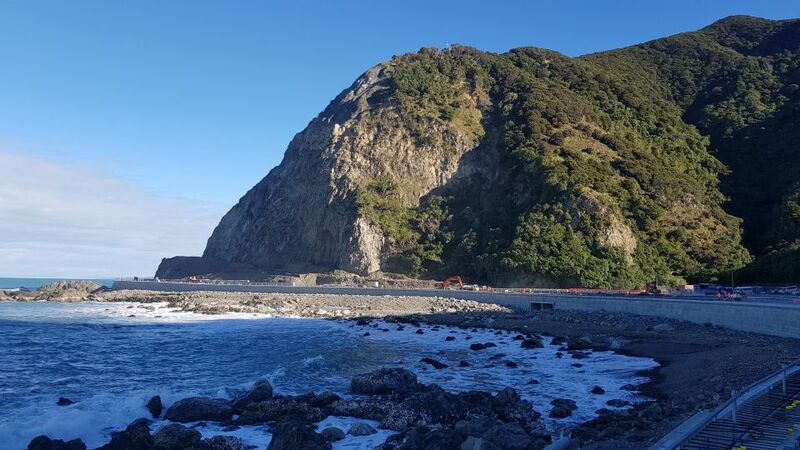 Looking towards Ohau Point with a view of the new sea wall. It's hard to see in this image but there are abseilers working on the slip face. What might they be doing? Image: LEARNZ. This section of new road is where the shoreline used to be. I wonder if any of the rubble from these slips was used to reclaim this land? Image: LEARNZ. 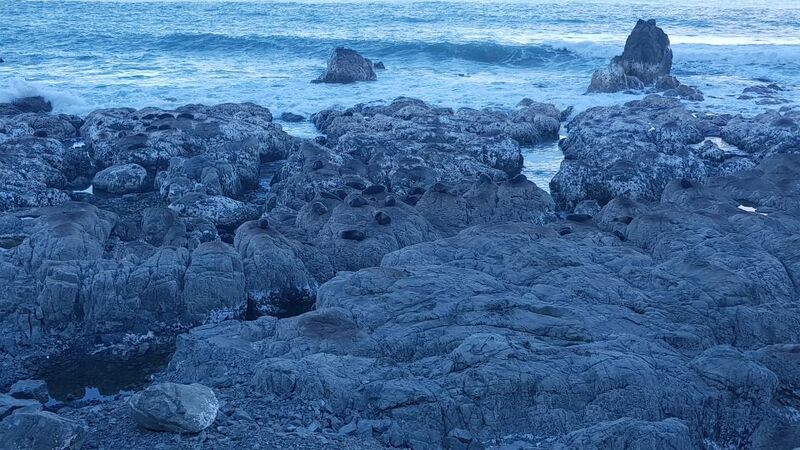 These seals don't seem too bothered by the work going on at Ohau Point. During some of the earlier work they had to be moved from the area. I wonder how this was done. Image: LEARNZ. Andrew and the ambassadors with Clark Butcher at Ohau Point. Image: LEARNZ.